For much of the eighteenth century his sugar plantations proved a successful industry, the island’s prosperity rivalling that of its larger neighbours. The Codrington family influence can still be seen in the island’s street names and architectural remains. The ruins of the Codrington’s Highland House lie at Barbuda’s highest point (38 m (124 ft) ) and on the island’s south coast sits the 17 m (56 ft) high Martello tower and fort used both for defence and as a vantage from which to spot valuable shipwrecks on the outlying reefs. The population seems to largely consist of the more than 5,000 graceful magnificent frigate birds (Fregata magnificens) that gather on the north-western lagoon at the bird sanctuary. They cannot walk or swim and instead rely on flight for survival. They harass less agile flyers like pelicans, egrets and cormorants until they drop their catch. 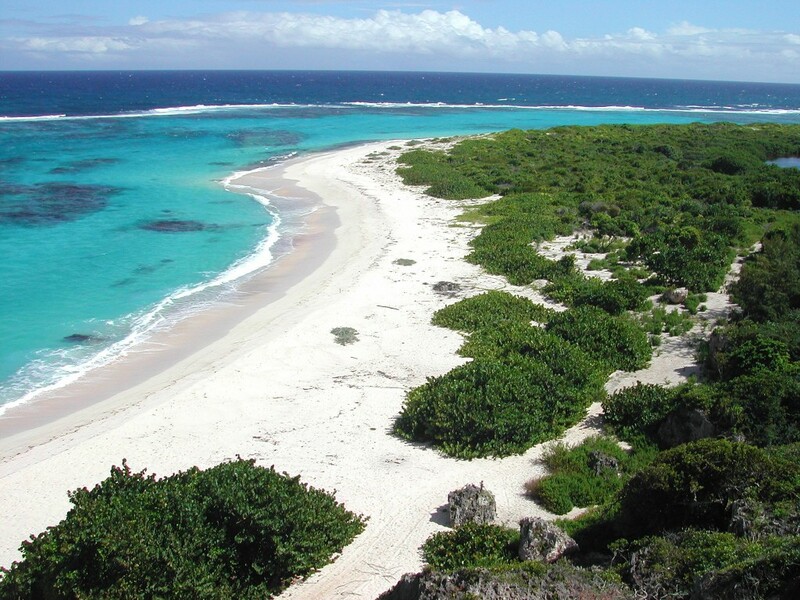 Antigua And Barbuda Caribbean, just 24 km long and 13 km wide (15 mi by 8 mi), is largely rocky and flat, with much of the island covered in bush. It is home to a variety of wildlife including deer and boar, land turtles and guinea fowl as well as the occasional wild cat. Feral cattle, horses and donkeys wander about and sheep and goats roam freely in the village, returning to their pens at night. There are several salt ponds where it is possible to see a wide array of birdlife, and there are many caves to explore in the area surrounding Two Foo Bay. On one of these caves there are ancient cave drawings and in others it is possible to climb right through to the top of the Highlands from where you can see for miles. Other caves go underground and underwater requiring expert knowledge for exploration. Darby Cave, a 45-minute walk from Highland House, is an extraordinary example of a sink hole where, in very dry weather, the salt ponds sparkle with crystalline sea salt.